The 200-page annual report of the IPEC to Congress is available here [pdf]. The report details actions taken by the Trump administration in the last year, ranging from numerous meetings with governments, private sector, and others, changes to rulemaking, enforcement actions and legal cases including a World Trade Organization challenge against China, educational and training activities worldwide, hearings and more. It mentions coordination with the World Intellectual Property Organization, and also discusses efforts to fight cybercrime, including on the Dark Web. The report further describes law enforcement activities at the local, regional and national level, as well as across federal agencies. And it offers numerous statistics showing the impact of counterfeiting and piracy. The report is broken out into sections by agency, for instance it describes the work of the Agriculture Department with its “main goal is to ensure GI protections do not disadvantage U.S. producers by unfairly granting protection to products with common names, which could ultimately result in a loss of market access.” The Commerce Department provide details on its global capacity building programs. The Departments of Justice and Commerce have joined together to set up now five regional IP Law Enforcement Coordinators, training local judges, lawyers, and law enforcement. The five offices are in Hong Kong; Sao Paulo, Brazil; Bucharest, Romania; Bangkok, Thailand; and Abuja, Nigeria. The US IP Enforcement Coordinator is Vishal Amin, who was named in 2017. 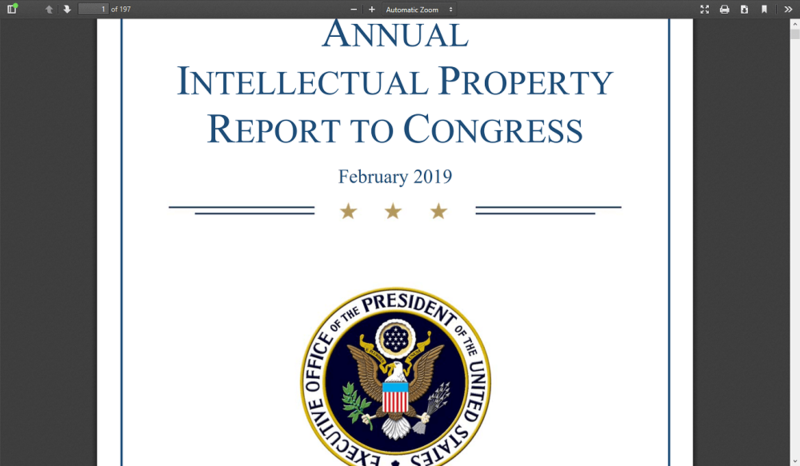 "US IP Enforcement Coordinator Under Trump Asks, “What Can We Do Differently?”" by Intellectual Property Watch is licensed under a Creative Commons Attribution-NonCommercial-ShareAlike 4.0 International License.